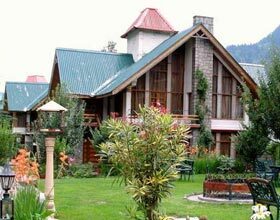 Pervading in the bountiful grandeur of the captivating town on the north fringe of Kullu Valley, Shingar Regency is cradled in the proximity of Hadimba Temple, Manali. 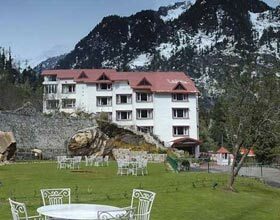 Travelers on exploration to unwind the mystiques and myths associated with Dev Bhumi, Himachal Pradesh appreciate the serenity and tranquility in the ambience. 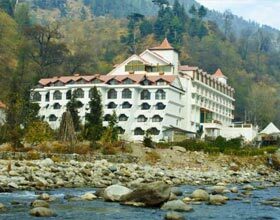 Awe-inspiring vistas from this splendor hotel away from chaotic city life including the overwhelming sunset are mesmerizing. 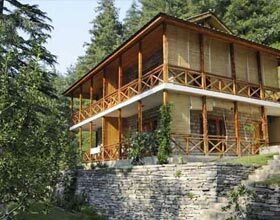 Traditional Kumaon conviviality and vintage shades in the furnishings are relished by guests abode. Exquisitely adorned accommodations of Shingar Regency open into private terraces where guests relish the gorgeous panoramas of the Mother Nature. 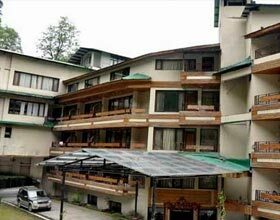 Broadly categorized into Regency Rooms, Premium Rooms, Superior Rooms, and Suite Rooms; all guest rooms are equipped with modish day to day necessities with elegant and charming interiors. 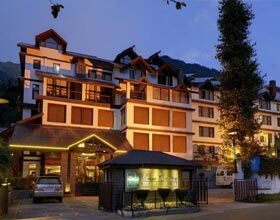 Complimenting the alluring vistas of the serene valley is the eclectic fare of scrumptious cuisines served at the restaurants of Shingar Regency Manali. Jharokha pamper its patrons with delectable delicacies from all around the world infused in its a la carte menu. A delight to the resident guests is the starlit barbeque feats at Apple Blossoms Restaurant.